You, your bike with the pedals you plan to use, your favorite shorts and your shoes. You will be actively pedaling on a trainer for parts of the fit and relatively inactive at other times, so wear layers on top. When you come in the first thing you’ll do is get changed. 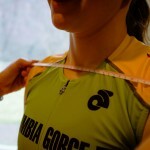 While you are getting changed, I’ll be taking measurements and information off your bike as it is. If you are coming in for a sizer cycle fitting, I’ll be setting up the sizer cycle appropriately. 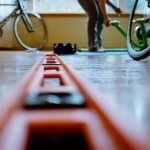 I’ll then ask you to ride on a trainer (or the sizer cycle) for about 5 minutes before we start any measurements. Your fitting starts from your pedals and goes up from there. Plan for 2 hours for your fitting. It may not take 2 hours, but I’d rather not be rushed if we need that much time. Once you’ve been fitted I’ll give you a summary of your fit numbers and a list of recommendations for new equipment if needed. We will have a comprehensive discussion of how to prioritize any equipment needs and the cost of such changes. Paying for a full fitting entitles you to some follow-up tweaking. 1 or 2 sessions to make some minor adjustments is normal. Once you’ve had a chance to ride your bike in it’s new position it’s not unusual to want to make further adjustments, especially after the addition of some new equipment. A small leg length discrepancy can sometimes be easily accommodated with a cleat adjustment or it can be as complicated as looking at using two different crank arm lengths, different pedals from one side to the other, use of shims or footbeds. If you think or know you have a leg length issue, please let me know beforehand. We can discuss how complex the situation might be and I can plan to have the appropriate equipment on hand for your fit. 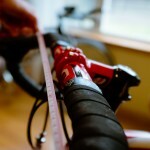 Now That I’ve Had My Bike Fit it will be Perfect for Ever, Right? Wrong. We will find the best position for you based on your needs right now. But needs and bodies change. For example a rider that couldn’t tolerate an aggressive road position might be able to after doing some stretching for 6 months and her position should be changed to take advantage of that new flexibility. Or maybe a new desk job has caused you to gain a few pounds and get stiff through your shoulders and neck… or you’ve decided to start riding longer than 2 hours at a time… You get the idea. 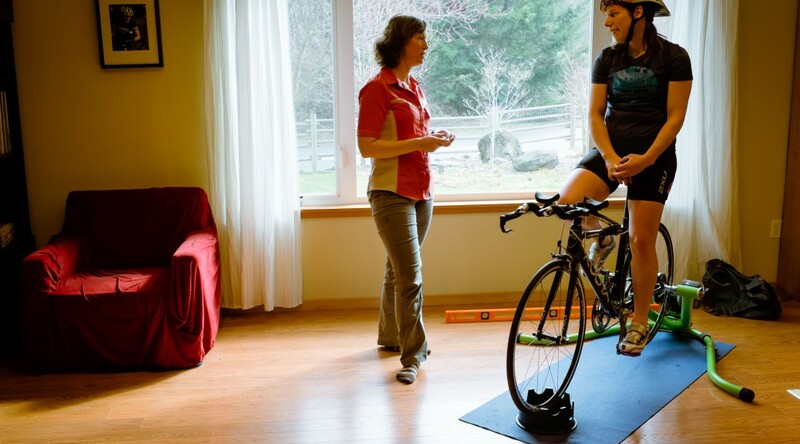 A bike fit you had 2 years ago may not have you in the best possible position today and a bike fit that I do for you today may need to be adjusted in the future as your body changes.